The SD74/SD84/SDB4 series of speed and direction sensor kits from ZF are designed with two internal hall effect cells, one that detects speed and, in combination with the second, detects the directions of movement. The SD74/SD84/SDB4 series of speed and direction sensor kits from ZF are designed with two internal hall effect cells, one that detects speed and, in combination with the second, detects the directions of movement. The new sensor kits allow for more customisation and are available in a choice of 20mm, 35mm, 45mm and 60mm shaft lengths and 12mm to 20mm shaft diameters. 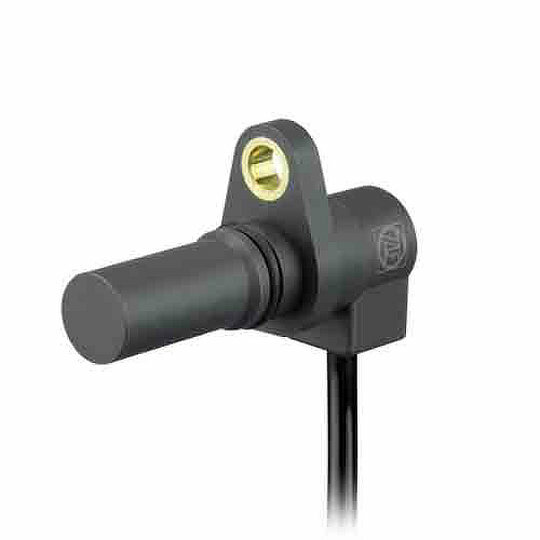 Designed with a plastic housing providing sealing to IP67 the sensor kits can be ordered with cut end cables or with pre-installed connectors in 90° angled or straight cable outlet configurations. Electrically rated for an operating voltage range of 4.5VDC to 24VDC with a supply current of 13mA max the SD74/SD84/SDB4 series are ideal for applications such as Electric Drives (both stationary and mobile), Automation Systems, Conveyors and Wind Turbines.